Gujarat Chief Minister Narendra Modi today performed ground breaking for 17 development works worth Rs 1240 crore in Surat. 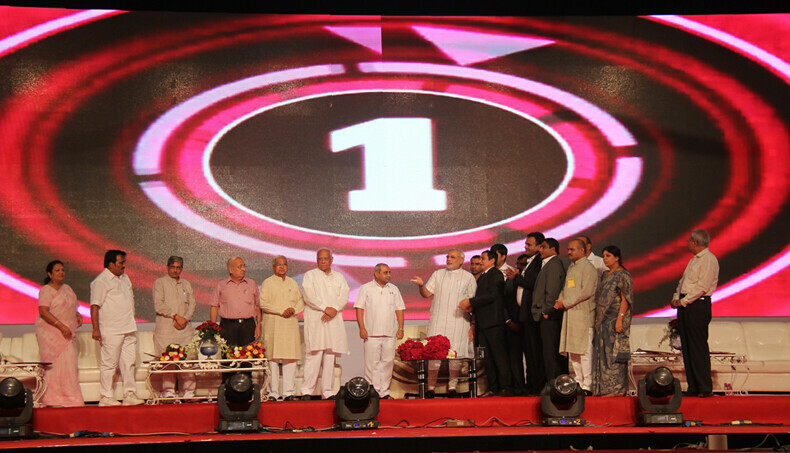 Shri Modi dedicated five development works worth Rs 44 crore in same function. Speaking in a function Shri Modi announced that state government has taken a decision to approve Metro train project for Surat. It should be mentioned that Surat Municipal Corporation (SMC) had sanctioned Rs 1 crore to conduct a feasibility study for its metro rail project early this year. As per the SMC proposed rail link will be a part of an integrated rapid mass transport system along with Bus Rapid Transport System (BRTS) to cater to the future needs of the city. It is estimated that for a 100 km of metro rail in Surat city, about Rs 17,500 crore would have to be spent.